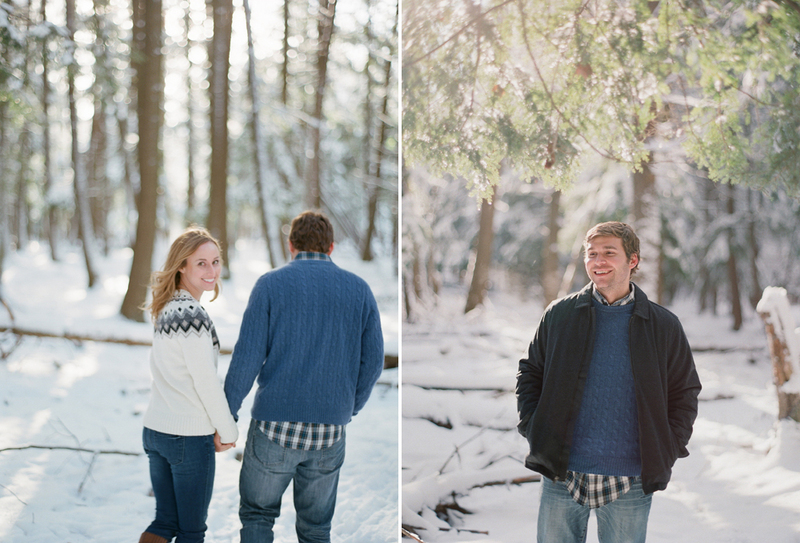 The snow, the dreamy light – Patti & Dan's engagement session couldn't have been more wonderful! With Patti's parents backyard running into Rib Mountain State Park, it provided an idyllic setting to capture her and Dan together. 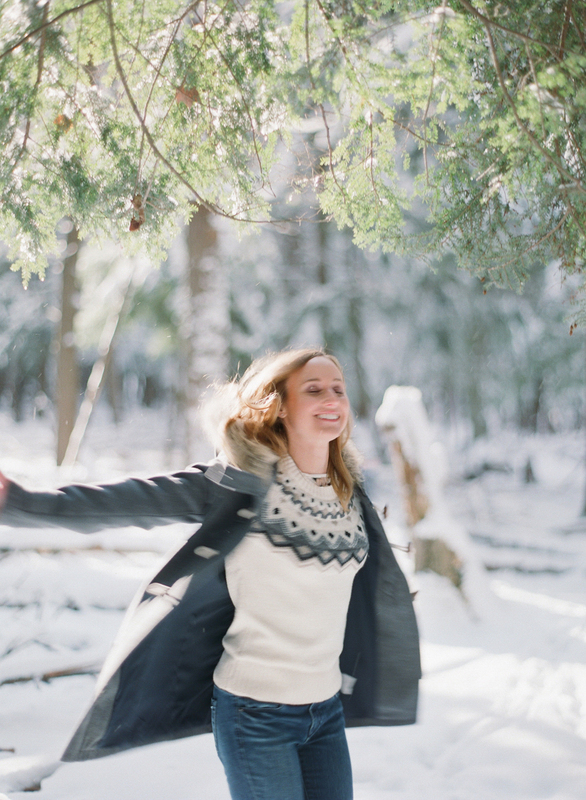 The four of us hiked into the woods and found sunshine bursting through the snow covered evergreens - the PERFECT spot to cozy up! :) Chilled from the wind on the way in, we found ourselves nice and toasty in the woods. While creating pictures with Patti & Dan they took the opportunity to show just how adorable they are together in front of our cameras! Out of nowhere, Dan scooped Patti up and the smiles and laughter that followed had us smiling from ear to ear! 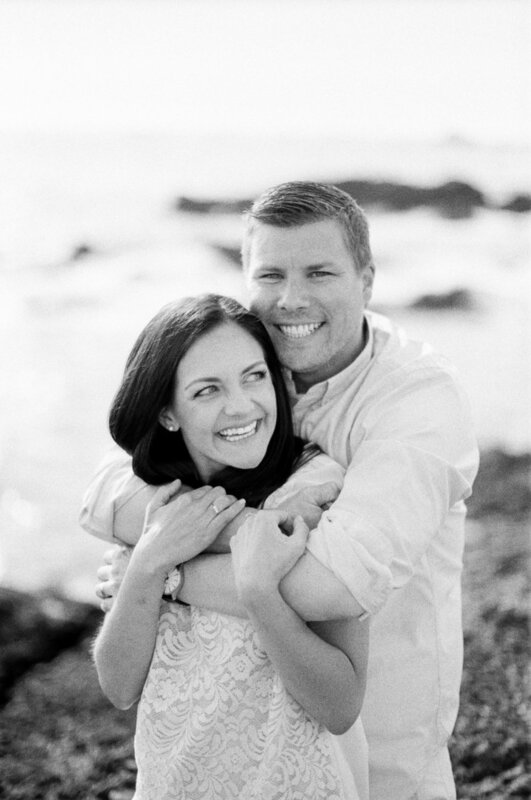 We had SO much fun with these two and we could not WAIT to get their film scans back as soon as we left the session. These two are planning a Wausau wedding next October that we are already looking forward to being a part of! 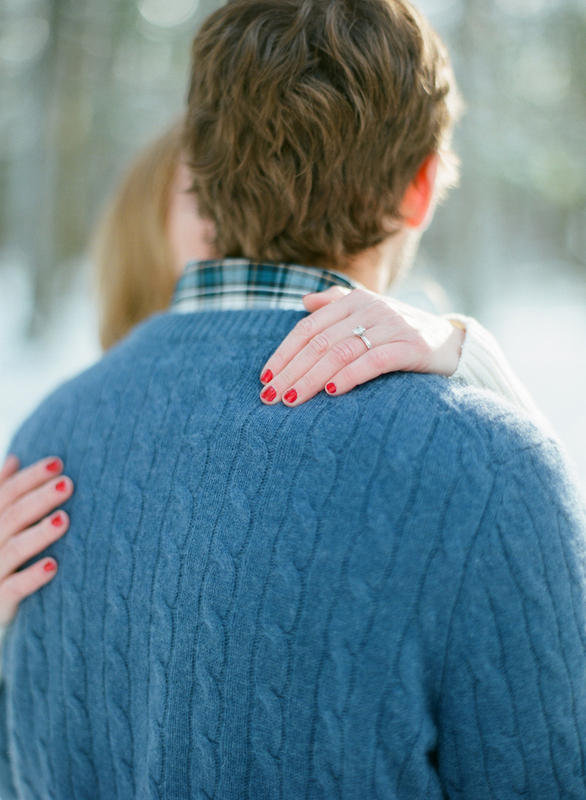 Winter engagement photos captured with Contax 645 or Pentax 67 on Fuji Pro 400H. 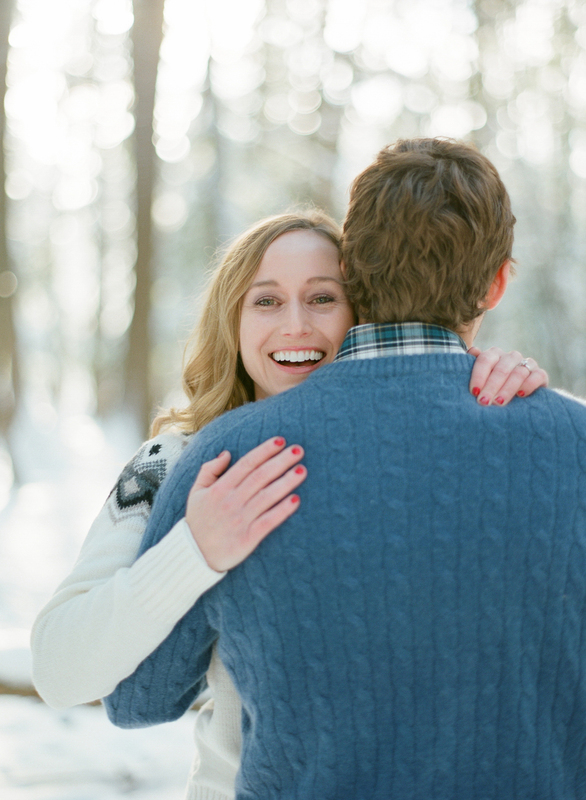 Posted in All Posts, Engagements Tags: "film photographers in wisconsin", "winter engagement photo ideas", "winter engagement photos", "wisconsin film photographers"